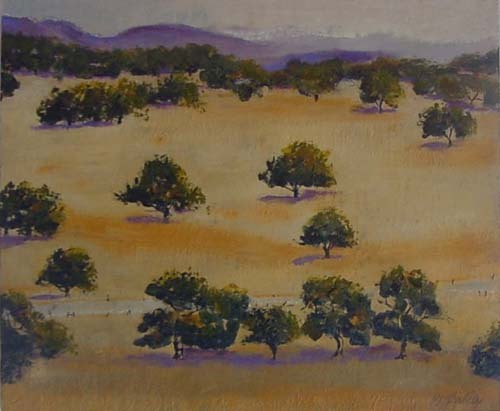 Kathleen Doud Reilley, a native Californian, and fifth generation of Ventura County, has been a serigraph artist for 20 years, printmaking on paper, fabrics, and tile. 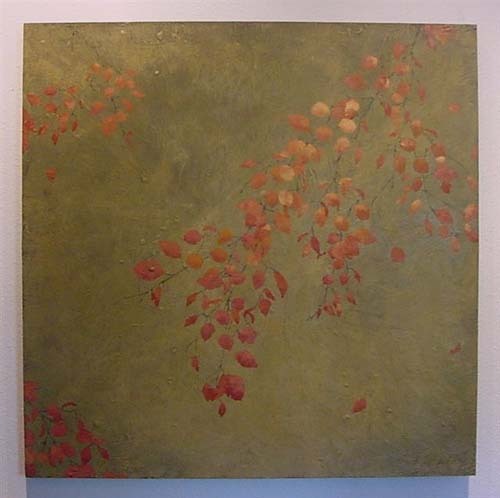 She recently discovered encaustics while attending an art workshop in Santa Fe and became enraptured by this ancient medium dating back to Greece, 100 BC. 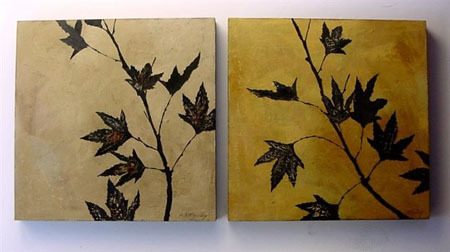 Encaustic paint consists of beeswax and pigment and a resin-base. 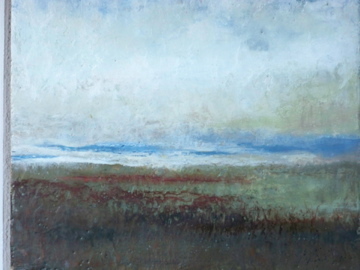 It must be heated before application and each layer of paint must be fused with heat to the layer beneath. 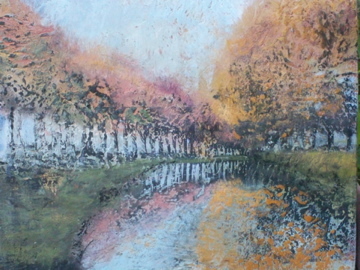 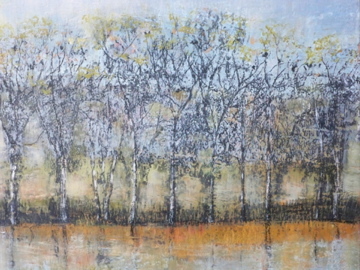 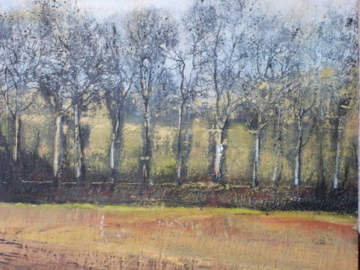 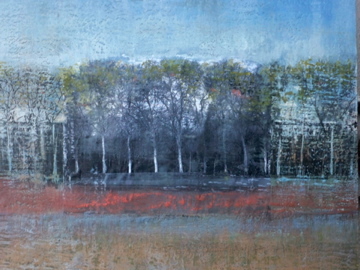 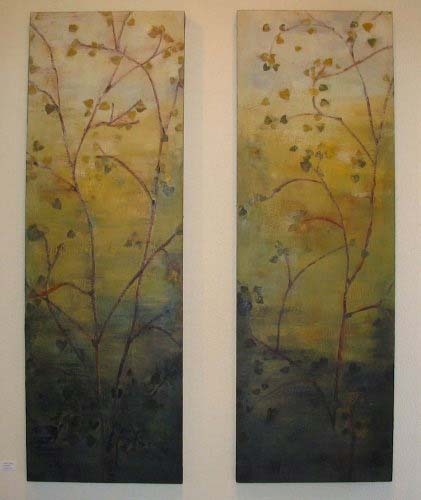 Encaustic paintings can be opaque or translucent. 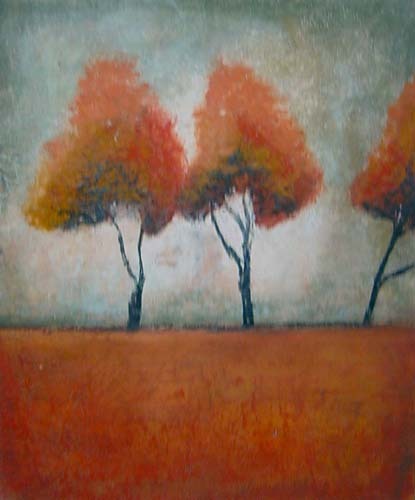 This delicious medium lends itself to endless means of application. 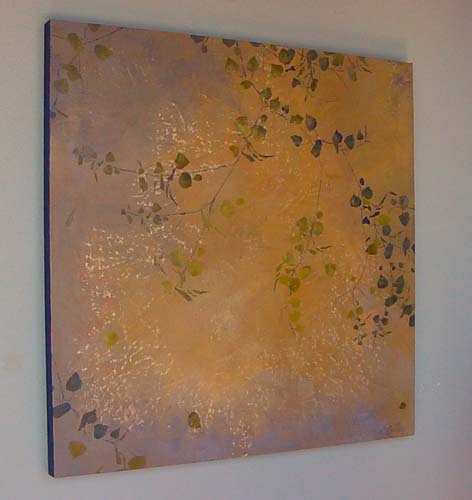 Kathleen’s paintings are created on the surface of birch wood panels, or paper which is adhered to plexiglass. 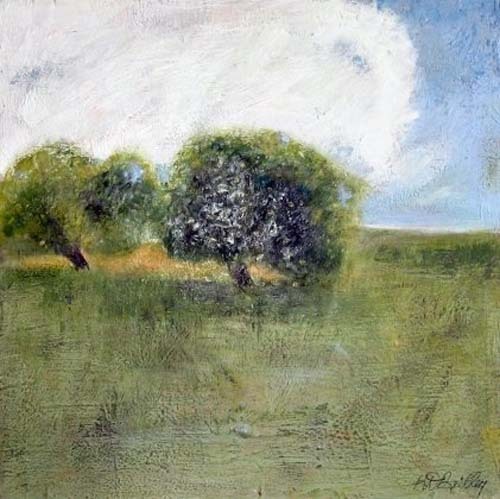 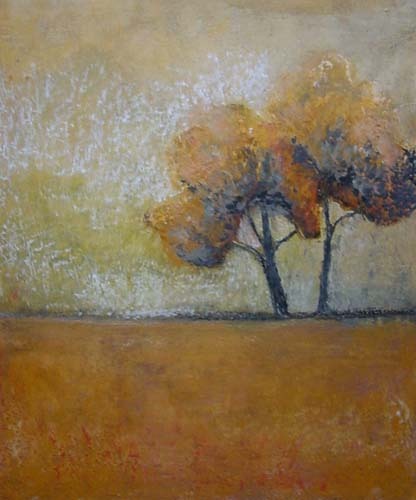 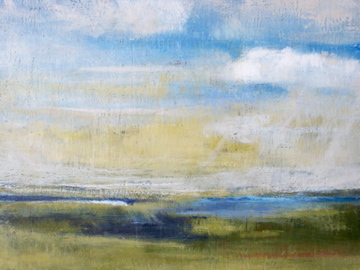 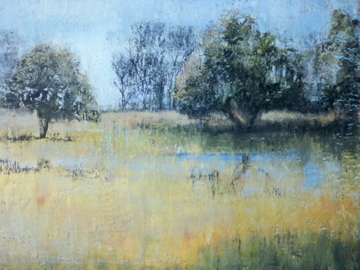 Kathleen’s work often reflects faraway places of time and of her travels. 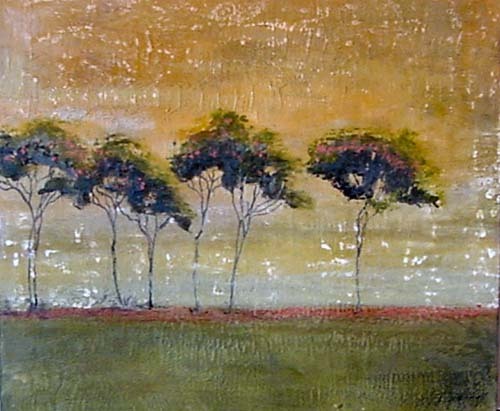 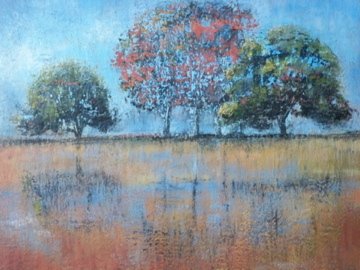 Her paintings captivate a sense of space and tranquility.